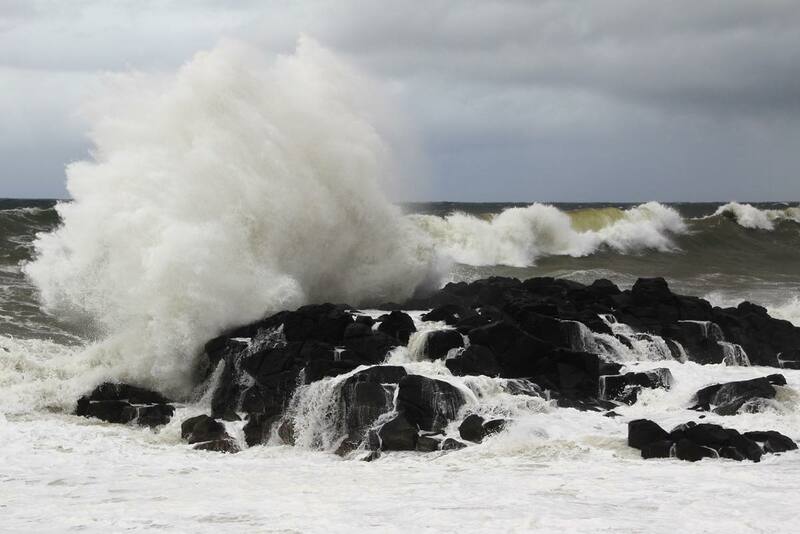 Seasonal northwesterly winds bring heavy snows and surging waves to this coastline, but these severe conditions also create unique meteorological phenomena which are worth seeing. Also, when schools of herring come to spawn from January to March the ocean becomes milky due to a phenomenon known locally as Kuki. After nearly a half century gap, the locals are pleased to see that this phenomenon is returning as the herring come home again. Local people are well acquainted with the “snow horse” which appears on Cape Aikappu of Ishikari City every year at the end of April. 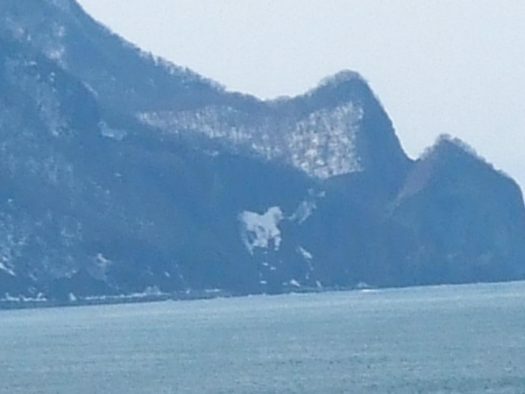 Snow clings to a bare patch of rocky slope, which has an uncanny resemblance to a running horse. It can be viewed best from the Hamamasu Furusato Park (Hamamasu-ku, Hamamasu 77-3). 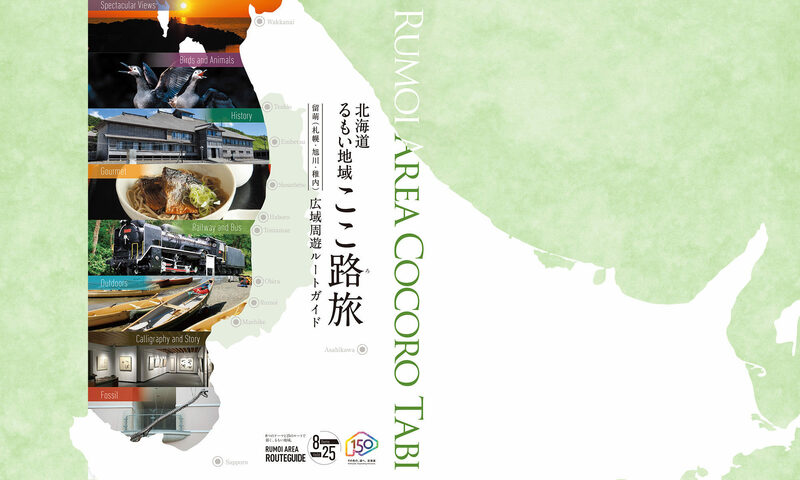 The ocean waves of Rumoi are distinctive in both volume and height. Rumoi joins Madras, India and Wick, Scotland in being one of the three locations in the world where waves of this magnitude can be observed. Cape Ogon, which is found on the map number 11 is a popular location to view Hatou. The waves can be higher than 10 meters, so be sure to exercise caution and watch from a safe distance! Rough waves whip the mucus of phytoplankton into flower-like bits of white foam. This phenomenon occurs on cold, windy, winter days from November to February. 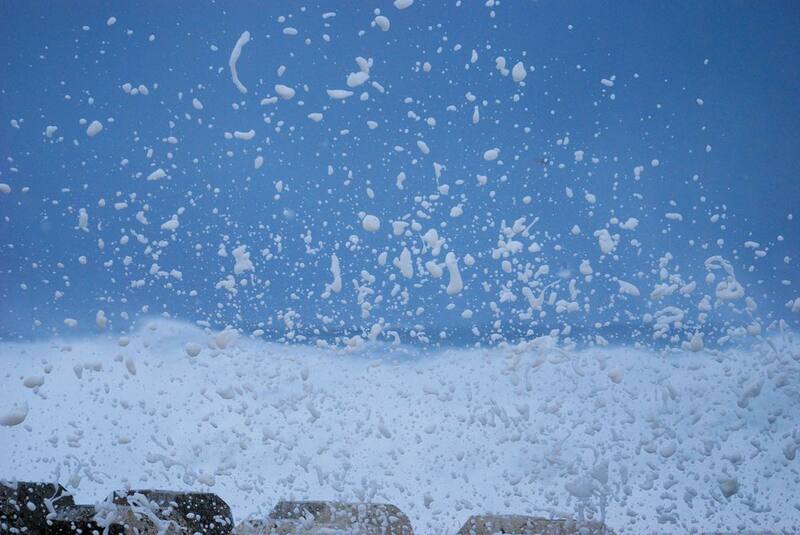 Use caution when viewing Nami no Hana, as the foam can stain clothing and foam-covered surfaces become very slick. The meteorological term for this phenomenon is sea smoke or steam fog. 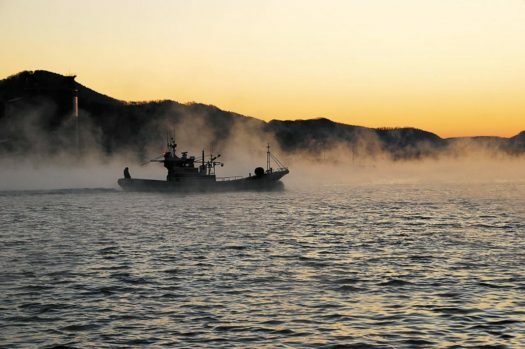 When vapor over the ocean surface meets cold air from ashore, it turns to steam or fog. Kearashi usually occurs in the morning on cold clear days when the temperature is below minus 10 Centigrade. There is a class currently available in which you can learn from a local cameraman about how to best photograph kearashi.